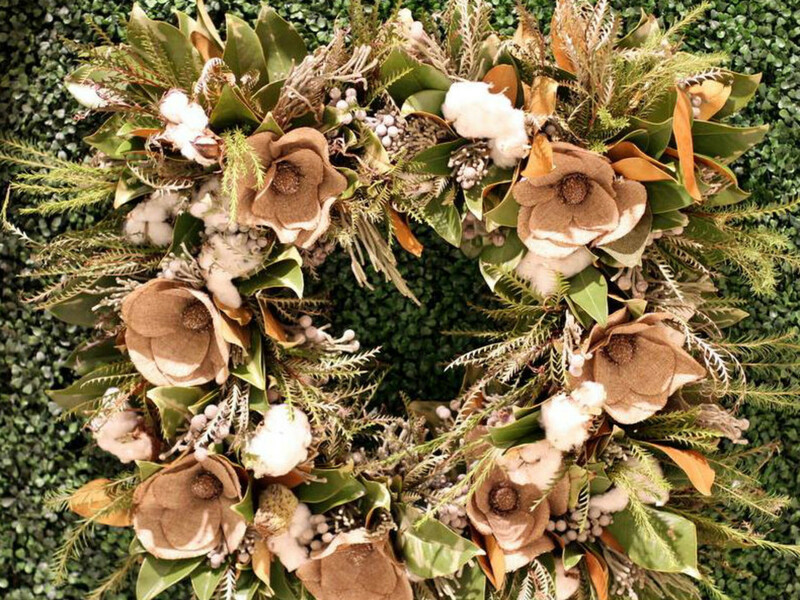 In anticipation of their 20th annual Holiday Wreath Collection, taking place November 12 at Home Expressions Gallery, we asked our friends at DIFFA Dallas to pick a dozen of their favorite creations from last year. 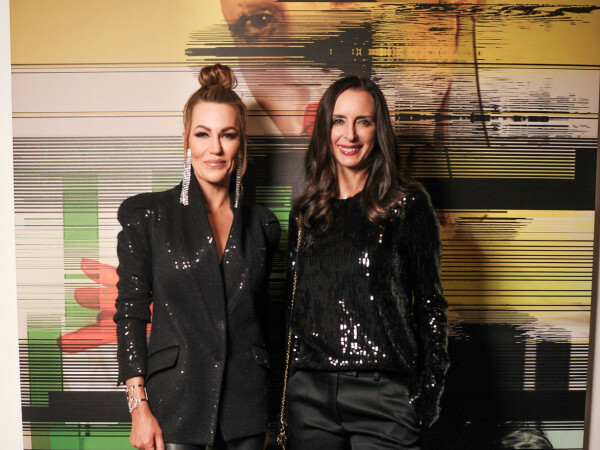 Not only do they provide inspiration for your own holiday decorating, but they also represent the ways you can help DIFFA in its mission to support AIDS service organizations in North Texas. 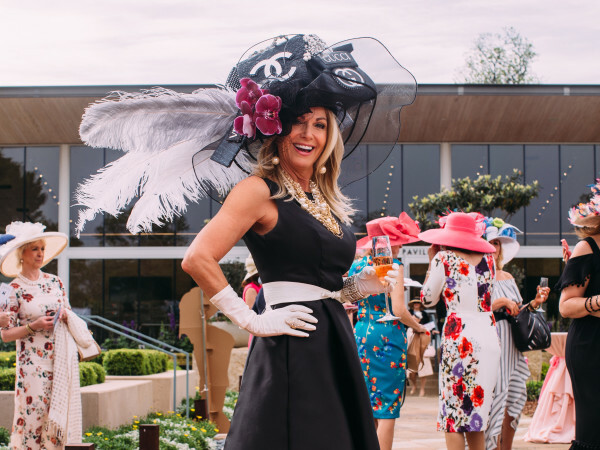 In addition to the more than 70 wreaths up for auction — created and donated by supporters such as Stanley Korshak, Design Within Reach, Arteriors, Pettigrew, and Allan Knight — expect cocktails, snacks, and good times with hundreds of your charitable friends. This creation from Gensler Architects started with a custom, computer-imaged design, which was then laser printed onto craft paper. 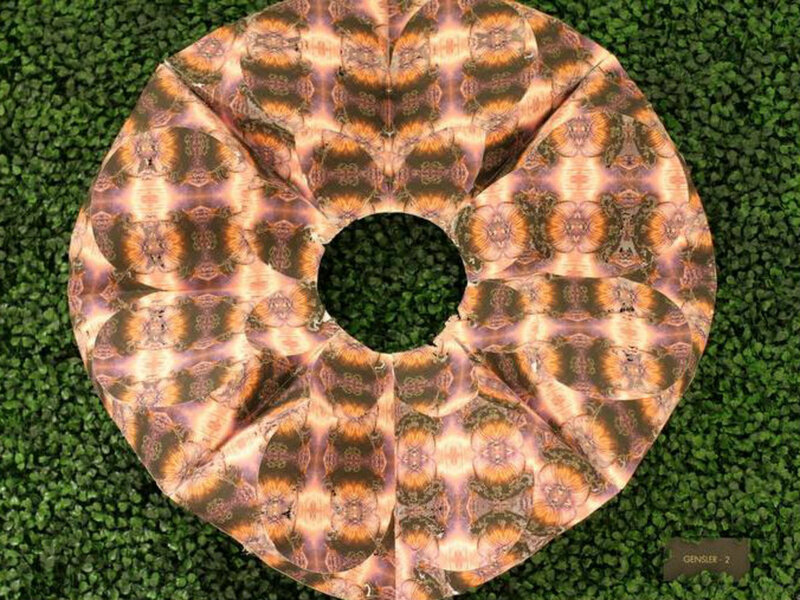 Once the paper design was complete, they machine-cut and folded it into a wreath. 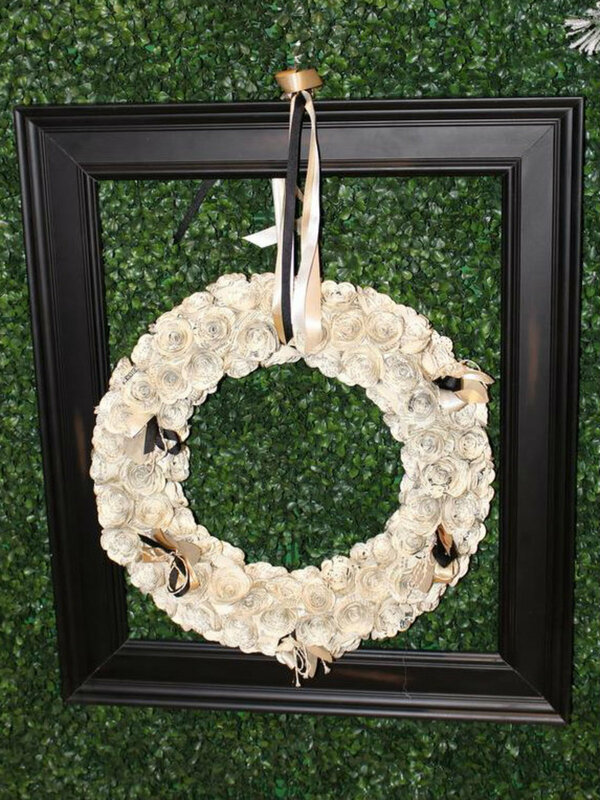 This unique wreath designed by Gallerie Noir makes a simple, elegant statement. 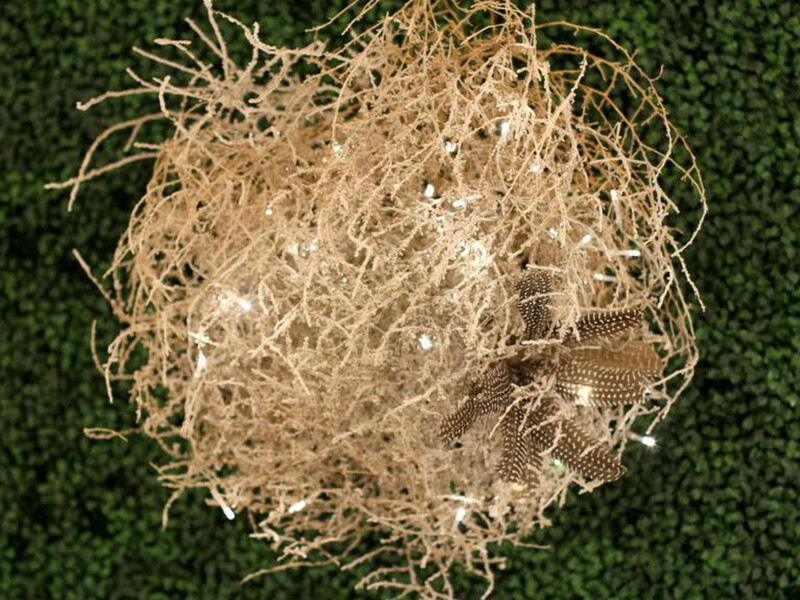 It started as a Texas tumbleweed, with LED lights woven throughout, and then was adorned with small pheasant feathers. 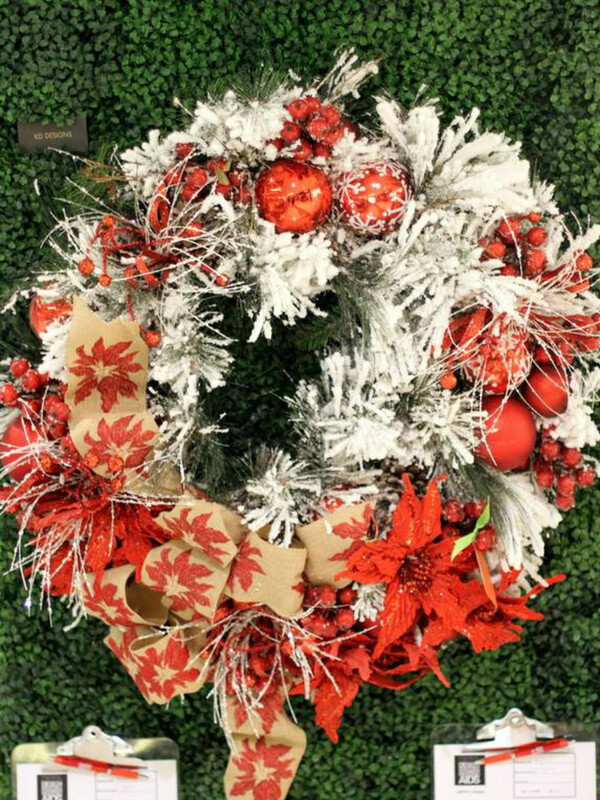 This wreath from KD Designs, flocked to look as if it had been dusted with snow, was decorated with a burlap ribbon hand stenciled with poinsettias in red glitter. 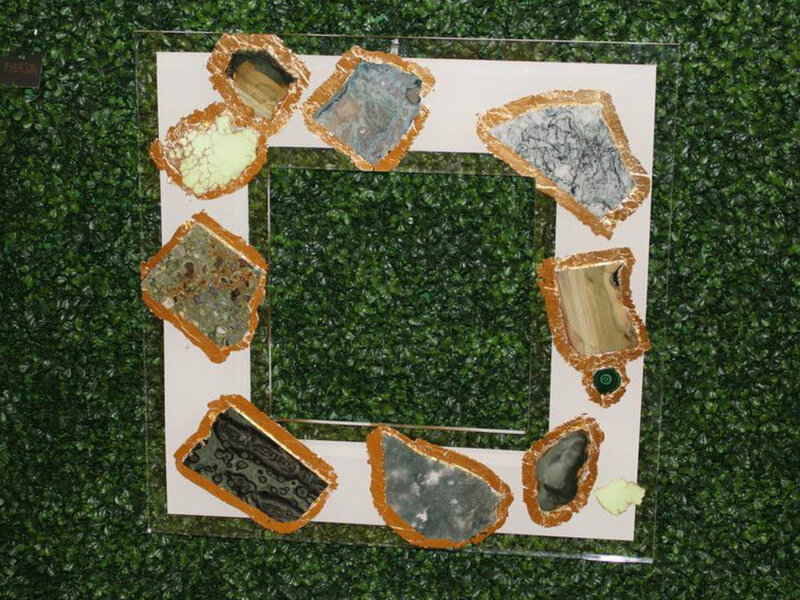 Laura Pierson's square “wreath” featured large, semi-precious stones and minerals attached to the acrylic in an asymmetrical pattern. 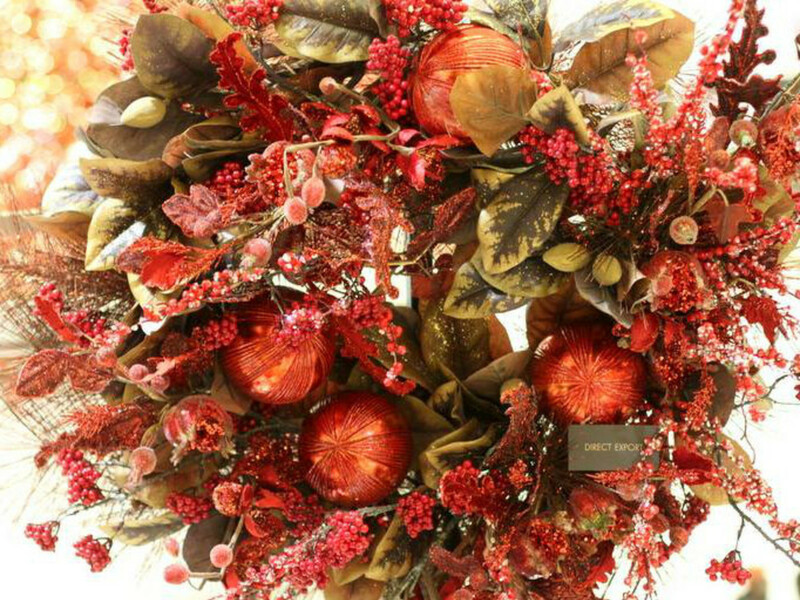 Direct Export made a traditional wreath out of the most unusual silk florals available. 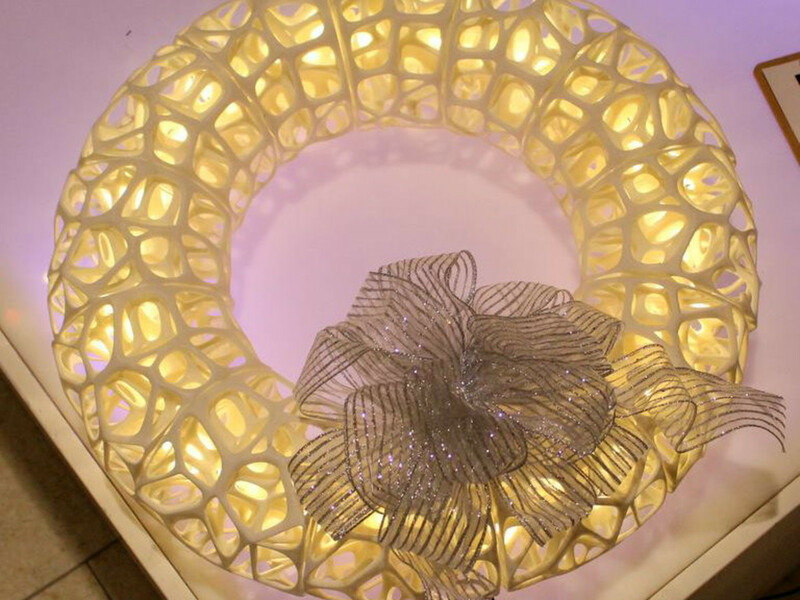 Gensler Architects used a 3D modeling printer for this wreath. It took nearly 72 hours to create the four sections. Once printed, LED lights were woven inside, so it cast shadows through the unique cutouts. Sissy's restaurant showed some Southern flair with magnolias crafted of a feed sack-like material and adorned with fresh dried magnolia leaves and other preserved flora. 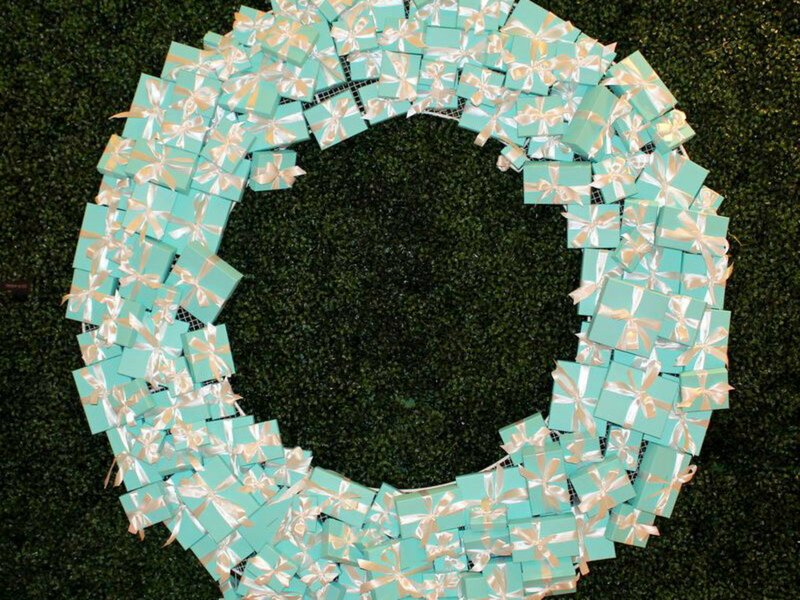 This wreath, a whopping 48 inches around, was covered in signature Tiffany & Co. boxes. Each box had a perfect, white satin bow adorning it, of course. For its wreath, Stanley Korshak designed a simple grapevine version covered in stuffed white owls of all sizes. 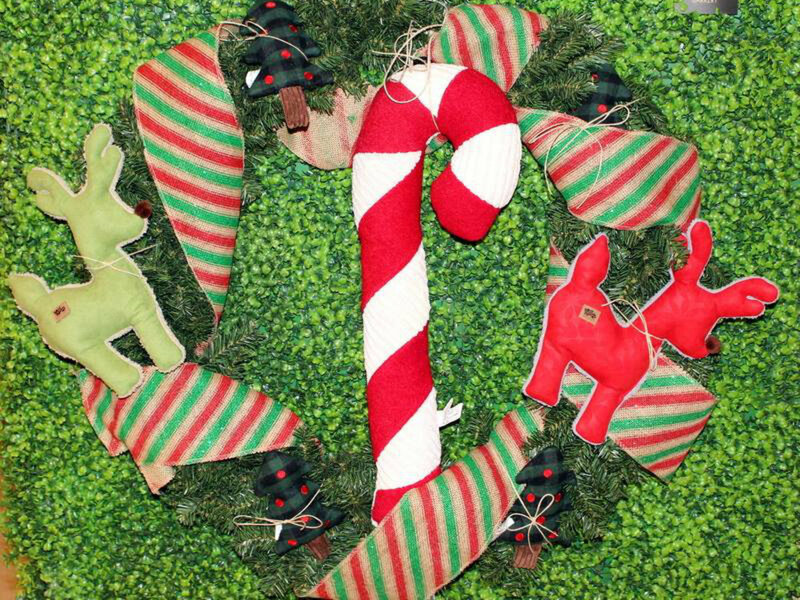 For all the DIFFA patrons who love their pets, Lucky Dog Barkery at the Plaza at Preston Center embellished this wreath with holiday-appropriate dog toys. 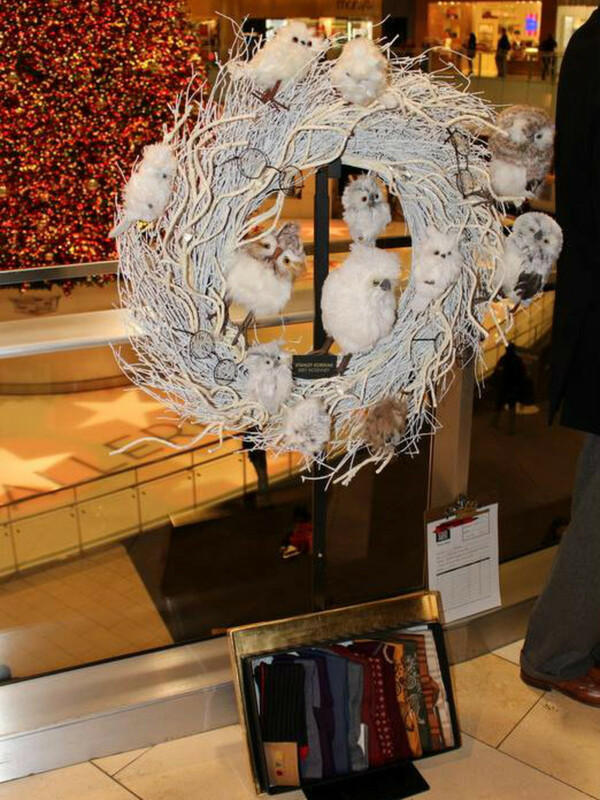 AIDS Arms Inc. presented its wreath as art, hanging from ribbon tied to a vintage frame. It was meticulously crafted of roses handmade from recycled paper. 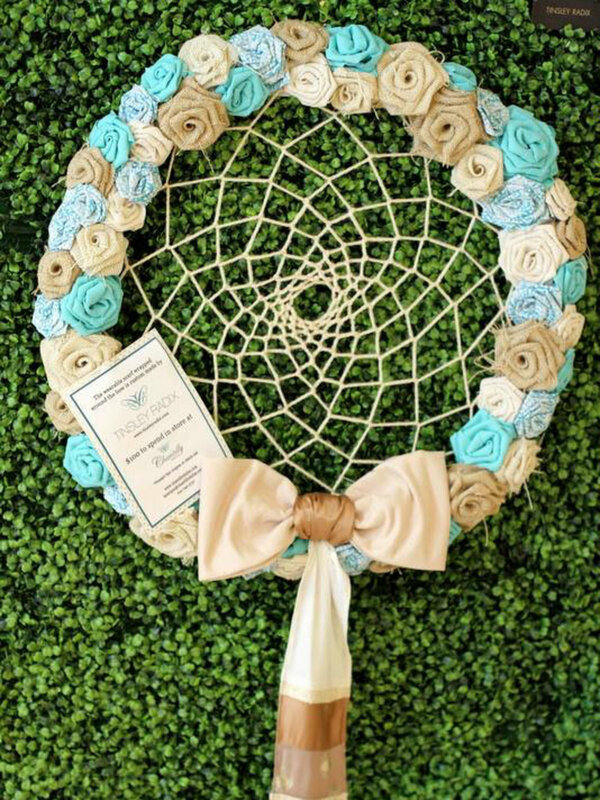 Inspired by a dream catcher, Tinsley Radix crafted this wreath using nautical rope and ladies’ scarves rolled into delicate flowers. The 20th annual DIFFA Wreath Collection runs 6:30-9:30 pm on November 12. 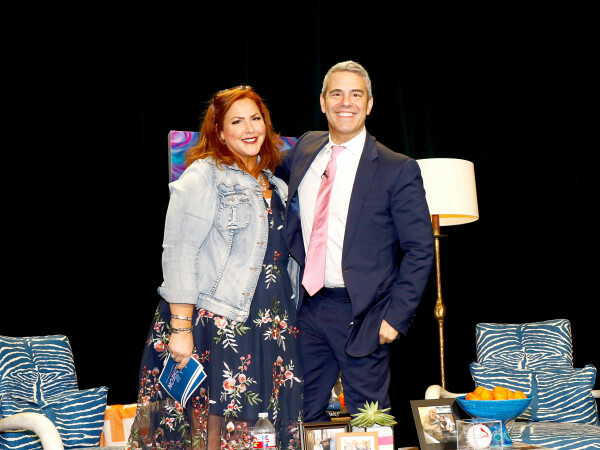 Tickets cost $50 per person and can be purchased at diffadallas.org/events or by calling 214-748-8580.